Suction feet for stable mixing. Automatic driven bowl for maximum air incorporation and beaters matches bowl seamlessly. Easy to dismantle and use as a hand mixer. 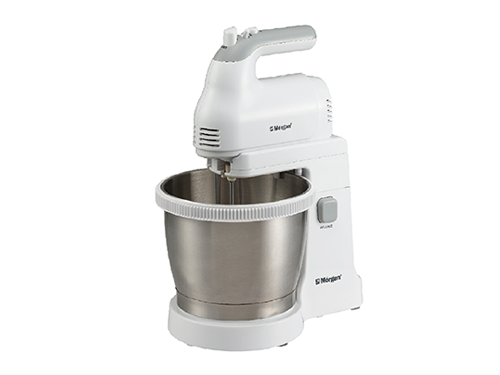 Self-rotating bowl capacity: 2.5L (min. efficient) 3.5L (max. efficient). Accessories included: 2 pc stainless steel beaters, 2 pc dough hooks and spatula.